​Price: $15 with $5 of each purchase donated to the rebuilding of the Marquand Cabin, which tragically caught on fire this past year. 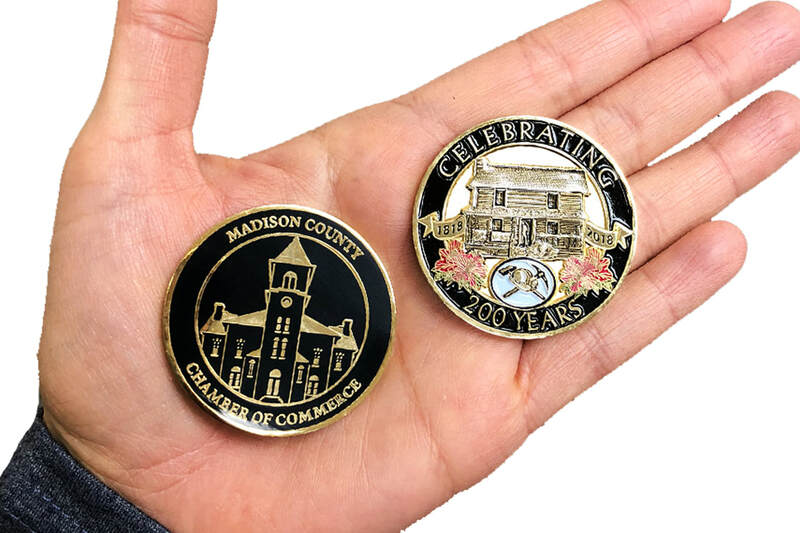 This coin is to honor the 200th anniversary of the founding of Madison County on December 18th, 1818. 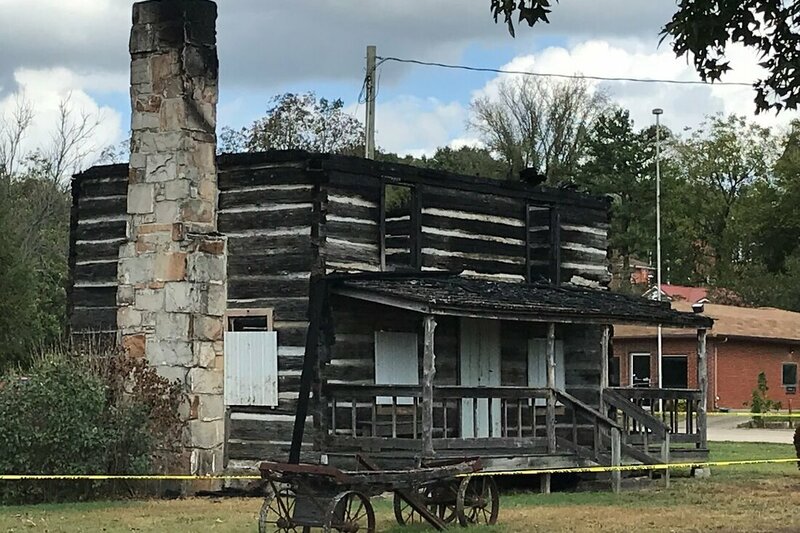 Featuring the Madison County Courthouse on the front and the historic Marquand Cabin on the back. The coin is 1.75" and made of brass with a hard enamel face. To place an order please fill in your information in the form below. You will then receive an invoice within 3 days. No coins will be delivered until payment is received. If you choose the "ship" option $5 will be added to your order. Otherwise you can pick up your order at a designated business in Fredericktown. Order Your Bicentennial Coin today by filling out the form below. Please enter the number of coins you wish to purchase. $15/coin.